It was yet another Festive Season alone, but this year was slightly different. I had been asked to look after someone’s home, 2 dogs and a piranha fish. That is right, a piranha! My first thoughts were that I was not suited to looking after fish. In all honesty that was the truth. I have no experience with looking after them. I was given the feeding instructions with a firm warning not to put my fingers inside the fish tank. I connect well with fur animals and not with scales. Being able to cuddle, stroke and talk to an animal seems way more favourable. Well from my perspective that is. As the days passed I became fascinated with this solitary fish. He starred and followed me, obviously from within his tank. I felt rather sorry for him being so alone and trapped in his home abode. I had been told how he and his piranha mate had eaten the angelfish, goldfish and eels that were in this tank. He then turned on his female counterpart and ate her too. He was not getting any more fish friends due to this. His life was destined to be a lonely one. One evening I pulled up a chair and sat with him. I saw within me something of him. I am not a fish and neither am I a piranha. I also have never killed anybody or anything. What I have done previously is push people away, sabotage and destroy friendships and in so doing ended up alone as this piranha. I had spent my childhood pretty much cut off from socialisation. We lived in a more rural area and my parents didn’t allow me to see my friends as they said it was too far to travel. I got used to my own company from a young age. During weeks of school holidays, I had to entertain myself. My siblings were very different from me and we had nothing in common. They were also significantly older. My parents were wrapped up in their own drama and personal issues. Add to that abuse on the home front as a daily occurrence. I didn’t develop human or social skills and this hampered me going forward in my life. I was drawn into a gang by the age of twelve. There I had a sense of belonging with youngsters who also felt outcast and were rebellious. We trashed cars, church halls and went on graffiti missions. This gave us a sense of accomplishment and a way to release so much of our pent-up anger and hate for authority figures. We didn’t have real role models and our homes were not happy places, so we found refuge in our gang with each other. Learning social, emotional and basic human skills are so important in life. This is something that only in my later years that I learnt via courses abroad. I learnt the value of others instead of shutting them out and pushing them away due to fear of rejection and further abuse. We are not islands and we do need others. Others challenge us to grow, support us, give us company and hopefully love too. As humans we are social beings. We are bred to be part of communities or groups and not for isolation. It is common knowledge that the one thing every human being wants is LOVE. Even the most hardened criminal or outcast of society. Every person has good within them. It just is that they lose their essence, self-belief, self-acceptance and their way due to life circumstances and conditioning. And all they need is for someone to see their good and believe in them again. This I saw while giving Chi Kung classes in maximum sentence in a prison. The hardest of criminals would soften if you acknowledged them and showered them with kindness. By taking their hand and looking them in the eyes with compassion, their walls and defence mechanisms would melt. By seeing and acknowledging them and their light/good, they started believing in that within themselves too. These voices get lost as they are shunned from society, only perpetuating the situation even more so. The more they are rejected, judged and outcast the more they become angry, rebellious and dysfunctional. It is a vicious cycle. Put any person through enough adversity, abuse and bad life circumstances and you may well end up with a misfit to society. Lacking in social skills and being unable to function normally (whatever that is). Abuse in a child’s early development, really stunts their growth and success in life. This leads to problems with their peers, family and into their work space later on. They also then battle with emotional, mental and physical ailments and issues which never can be fully understood or diagnosed. A bad start in life is difficult to correct and can take decades of hard work and discipline to transform for the better and recreate your life. There are those that just don’t make it. When I got to 30 years, my counsellor at the time said it was a miracle. I was just determined to survive and never be defeated. Once the cycle of abuse starts it just repeats itself. These patterns are difficult to stop. One gets used to abuse and in all honesty if it is what you grew up with then it seems ‘normal’ to you. It then creates havoc in your life and becomes a downward spiral. Literally self-destructing and sabotaging your life on every level. I believe change is always possible and there is never a lost cause, but it comes down to the individual to rise from their abuse and negative patterns. It takes strength, courage and determination. Isolation, detachment and those ‘big walls’ were necessary for protection in your earlier years but now they need to come down so that each person can find themselves fully. Literally allowing all those old patterns and ways to collapse and crash so that you can rise like a Phoenix from your own ashes, with a new fresh canvas and life! Once you have found unconditional love and acceptance within, will you attract those that see this and your people will be magnetised to you. 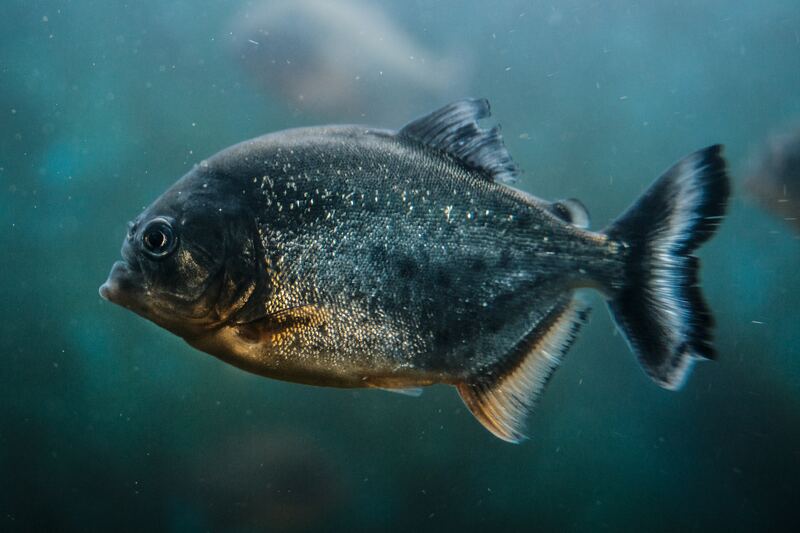 You don’t need to live a life of isolation as the piranha! Is Adult Dating Just an Exercise in Dumpster Diving?